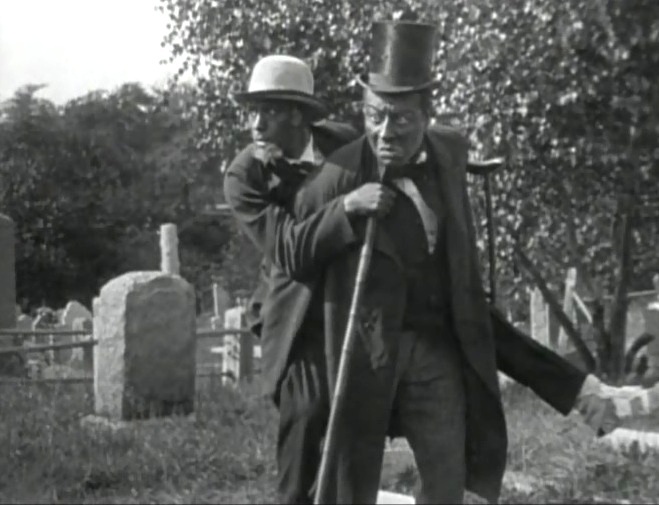 "A Natural Born Gambler" is a short comedy starring Bert Williams. This film illustrates the work of our star cinematographer Billy Bitzer. 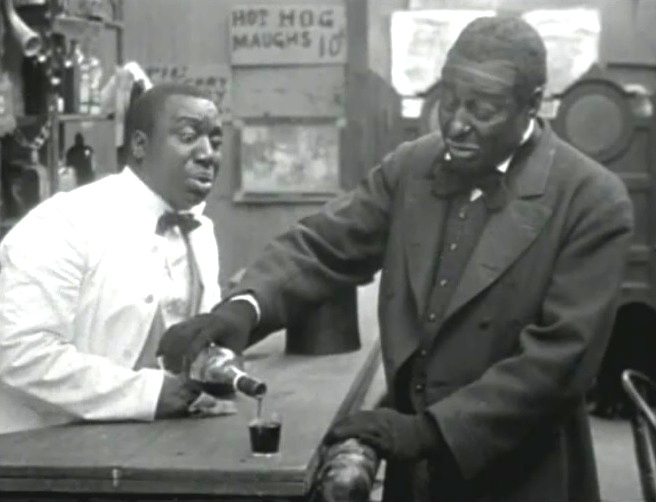 Bert Williams pours himself a hearty drink as the barman looks with concern in "A Natural Born Gambler" (1916), cinematographer Billy Bitzer. 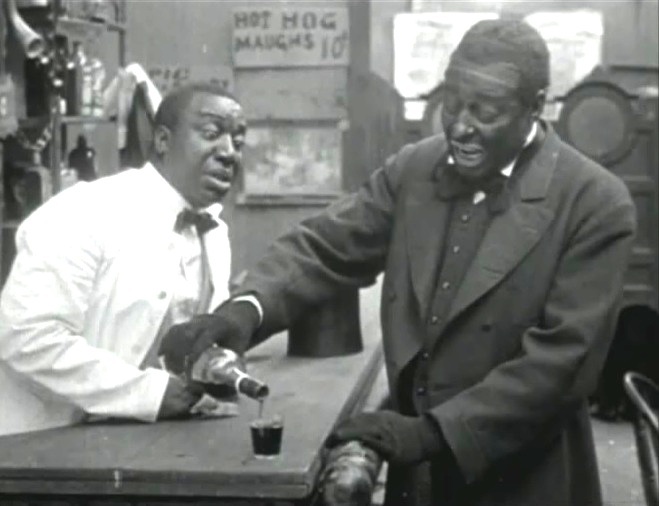 Bert Williams pours himself some more as the barman's eyebrows raise a notch in "A Natural Born Gambler" (1916), cinematographer Billy Bitzer. 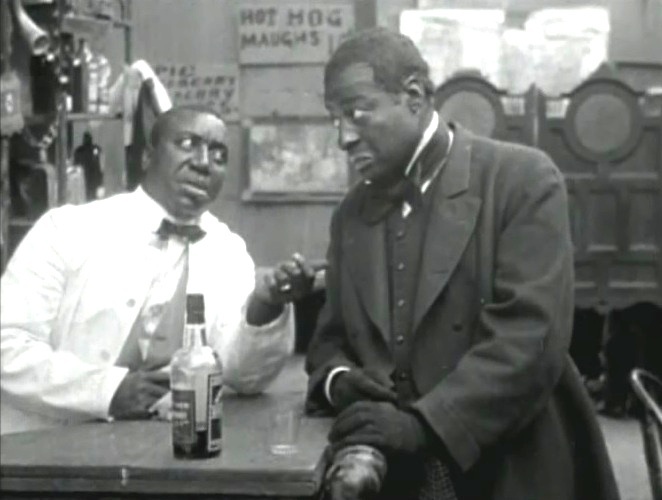 Bert Williams seems surprised as the barman asks to be paid in "A Natural Born Gambler" (1916), cinematographer Billy Bitzer. 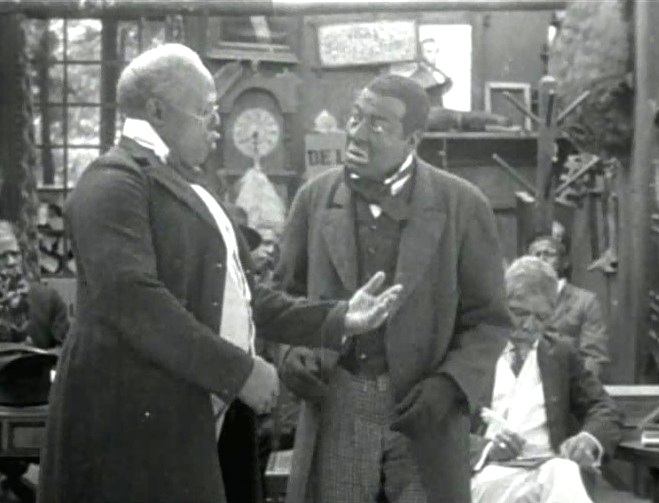 Bert Williams seems surprised as the chairman asks him to pay his dues in "A Natural Born Gambler" (1916), cinematographer Billy Bitzer. 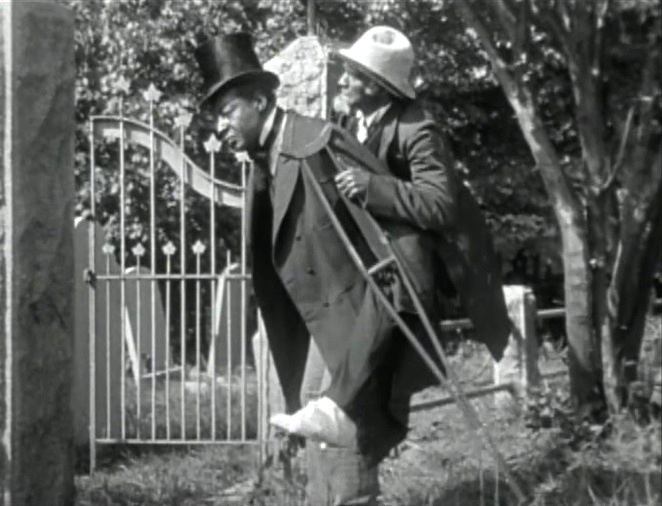 Bert Williams carries an associate suffering from gout in "A Natural Born Gambler" (1916), cinematographer Billy Bitzer. 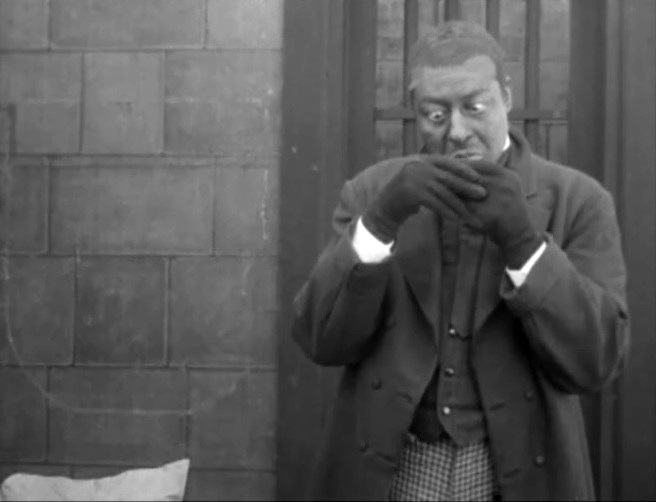 Bert Williams and his associate believe that they see the devil in "A Natural Born Gambler" (1916), cinematographer Billy Bitzer. 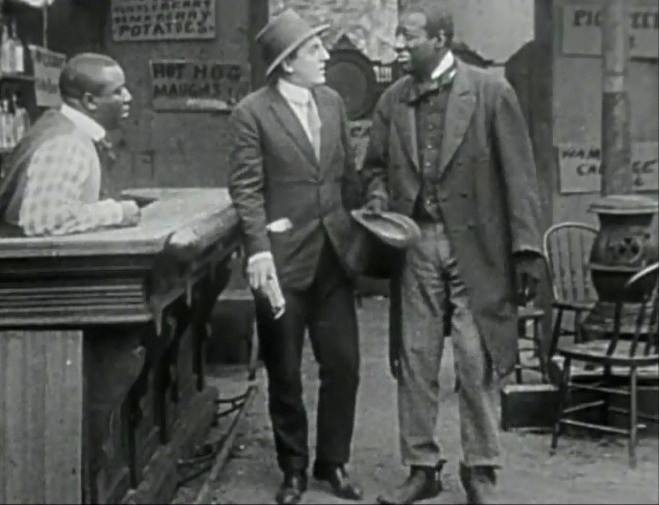 Bert Williams asks an associate to watch for the cops before gambling starts in "A Natural Born Gambler" (1916), cinematographer Billy Bitzer. Bert Williams gets a couple extra aces in a high-stakes game of poker in "A Natural Born Gambler" (1916), cinematographer Billy Bitzer. 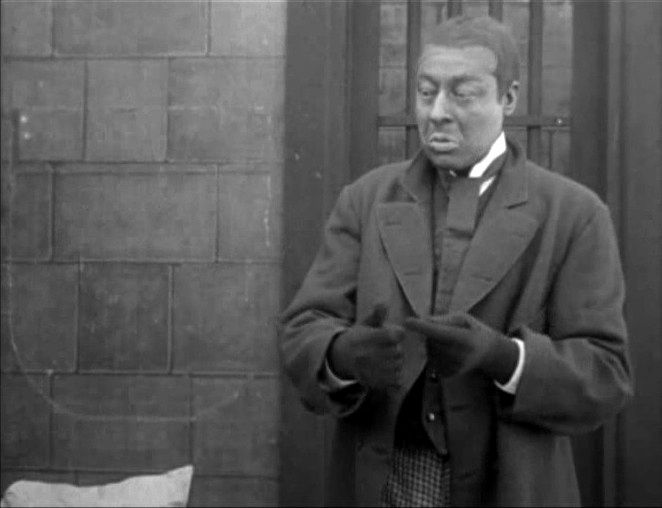 Bert Williams has good chances in a high-stakes game of poker in "A Natural Born Gambler" (1916), cinematographer Billy Bitzer. 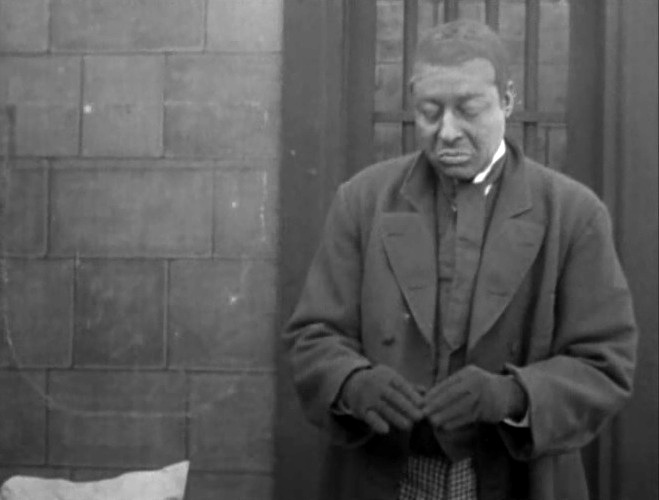 Bert Williams gets arrested for gambling in "A Natural Born Gambler" (1916), cinematographer Billy Bitzer. 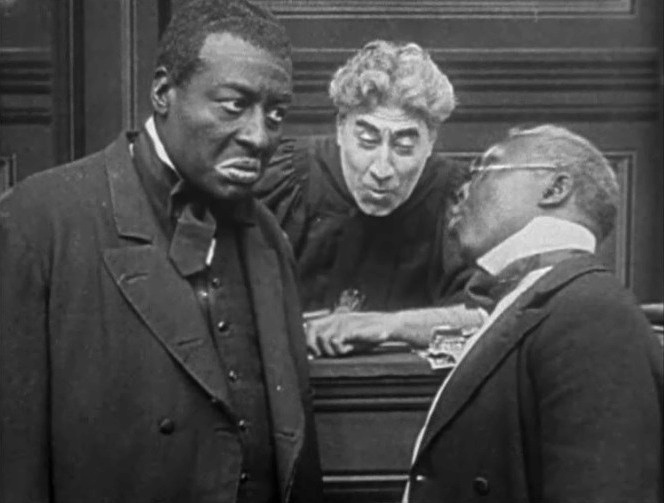 Bert Williams listens to his lawyer talk to the judge in "A Natural Born Gambler" (1916), cinematographer Billy Bitzer. 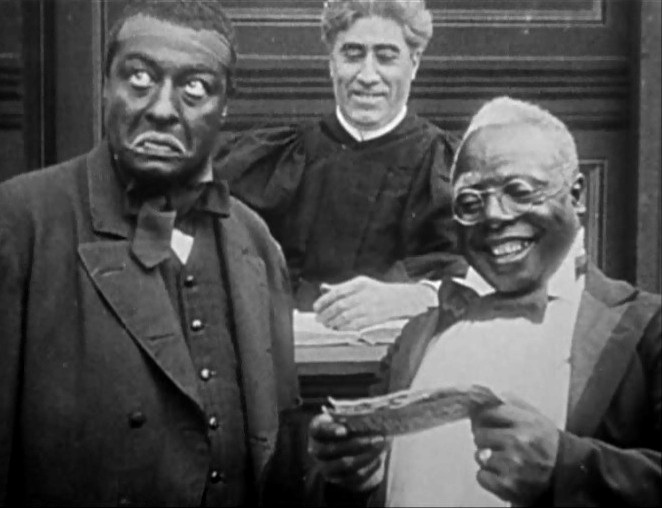 Bert Williams looks dejected as his lawyer gets the spoils of the poker game as an attorney's fee in "A Natural Born Gambler" (1916), cinematographer Billy Bitzer. 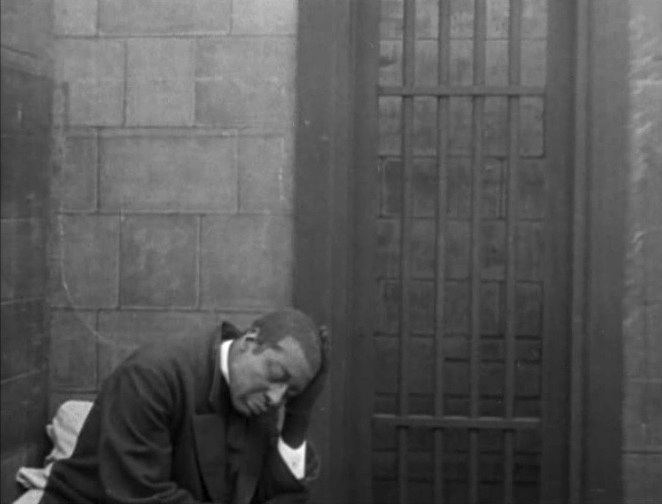 Bert Williams lingers in jail and dreams about a game of poker in "A Natural Born Gambler" (1916), cinematographer Billy Bitzer. 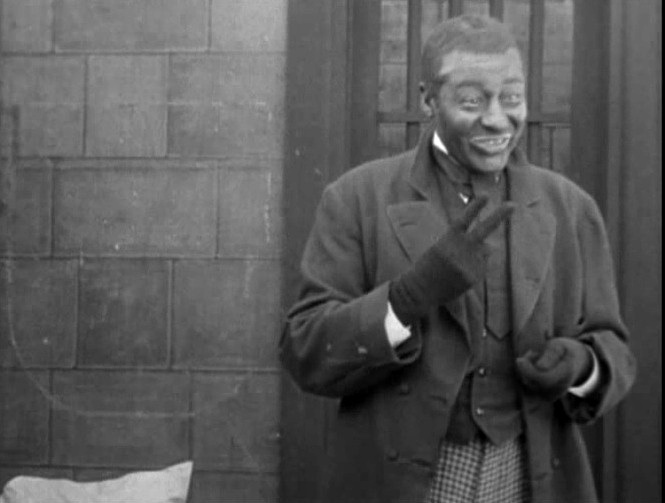 Bert Williams shuffles the cards in a pantomime for "A Natural Born Gambler" (1916), cinematographer Billy Bitzer. 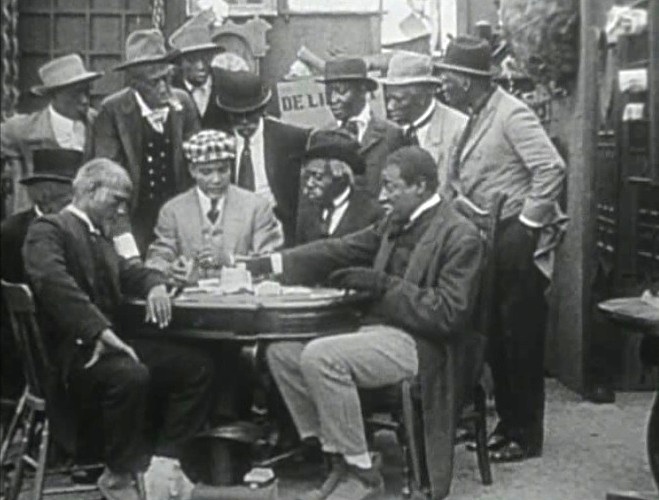 Bert Williams deals the cards in a pantomime for "A Natural Born Gambler" (1916), cinematographer Billy Bitzer. 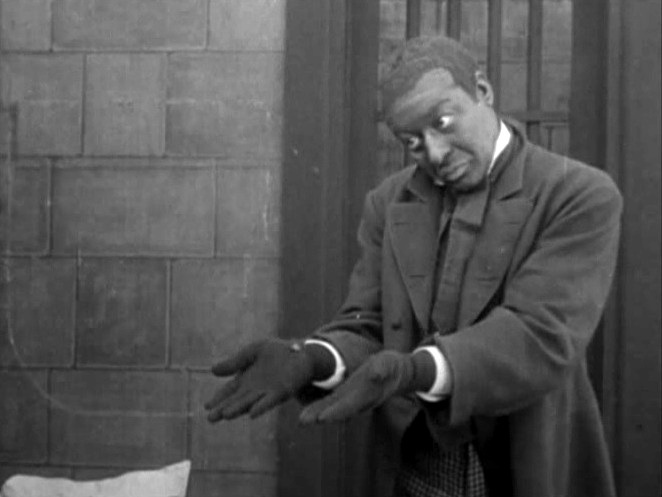 Bert Williams is not impressed with his hand in a pantomime for "A Natural Born Gambler" (1916), cinematographer Billy Bitzer. 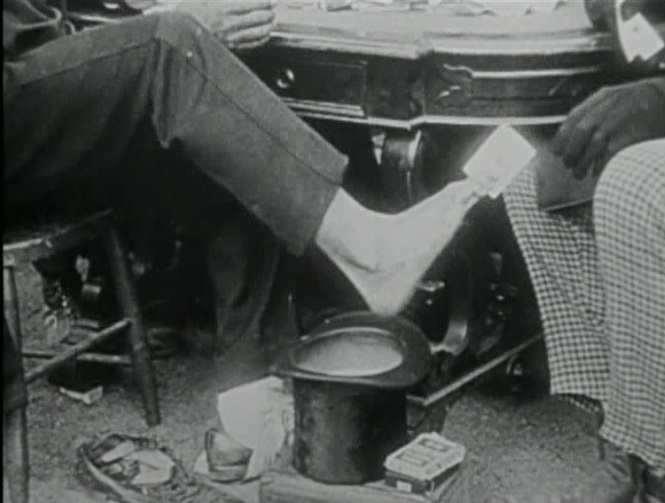 Bert Williams deals more cards in a pantomime for "A Natural Born Gambler" (1916), cinematographer Billy Bitzer. Bert Williams increases his bet in a pantomime for "A Natural Born Gambler" (1916), cinematographer Billy Bitzer. Bert Williams considers his final move in a pantomime for "A Natural Born Gambler" (1916), cinematographer Billy Bitzer. 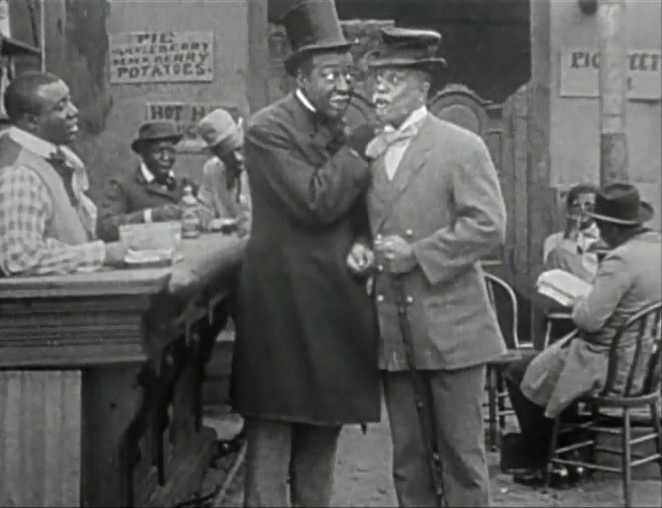 Bert Williams concedes in a pantomime for "A Natural Born Gambler" (1916), cinematographer Billy Bitzer.